Strategic marketing is the potential way to effectively differentiate the products and services of the organisations from the competitors by enhancing the current strengths of the organisation to provide better values to the consumers. The purpose of the report is to highlight the integrated marketing communications in the launching of the new product. 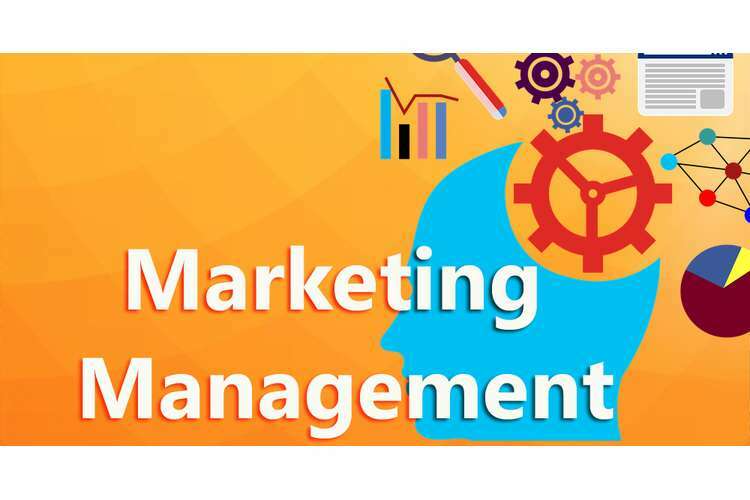 As stated by Robson (2015), integrated marketing communication ensures that business organisation behaviour should form all form of messages and communications to be linked together which means the business organisations integrate all promotional tools to make the branding in harmony. In this report, PepsiCo organisation is chosen and the selected brand category is the convenience good. In this report, two key marketing theories are discussed to set the product in a new direction for the brand concept. Moreover, new strategic brand positioning is provided using Ansoff's Matrix to offer the new strategic plan. PepsiCo is an American multinational snack, food and beverage selling company and it has it headquarter in New York. It is mainly in the industry of food processing and beverage; this company sells the convenience goods mainly (Pepsico.com.au 2018). According to Belch et al. (2014), convenience goods are the consumer items which are widely available and these goods are purchased by the customers with minimal effort. Convenience goods are found readily and the consumers do not need to delve an intensive decision-making process. Mountain Dew is the carbonated soft drink owned by PepsiCo and it was first introduced in the year 1940. Soft drink is the part of convenience drink and PepsiCo is going to start its selling Mountain Dew Kickstart in Australia. PepsiCo has decided to roll out the new drink in Australia named Kickstart under the brand Mountain Dew; however, this soft drink is made 5% juice and Vitamin C and B with an extra power of caffeine. PepsiCo does not consider Mountain Dew Kickstart as energy drink as it has less amount of caffeine than Red Bull or Monster. In Australia, PepsiCo beverage wants to enter the fast-growing energy market through Mountain Dew Kickstart. The CEO of PepsiCo Australia and NZ averred that Mountain Dew fans are looking for some alternative to traditional morning drinks and PepsiCo brought the idea of caffeine drink. Keller's brand equity model is a pyramid that tells how an organisation can build the brand equity by realising the needs of the customers. In the first level, PepsiCo needs to understand the brand identity as it is the way the consumers look up the brand and it makes the brand different. PepsiCo always advertises much to establish the brand identity of Mountain Dew to attract the customers. The second level is establishing the brand meaning ad this level has two parts, brand performance and brand imagery. Brand performance is based on the products' features, product reliability, customer service, design and style and pricing of the products (Keller 2016). PepsiCo needs to advertise about the product and how it might help the customers. Mountain Dew Kickstart can fulfil the customers' desires of drinking energy drinking and word-of-mouth publicity can build the strong brand image. The third level of Keller's brand pyramid is the brand response and it has two different segments, judgement and feeling. Customers use the products and they post their reviews on the internet. This reviews and word-of-mouth reviews are part of the judgement of the customers. In addition, if the customers like the services provided by the company, then it would advocate the feeling of the customers. As pointed out by Cifci et al. (2016), judgement and feelings of the customers are very significant as these build the brand equity. Finally, PepsiCo needs to build up the brand resonance of Mountain Dew where the customers can connect the socially and psychologically. PepsiCo is an international brand and Mountain Dew is also famous among Australians. Therefore, the customers would be excited if Mountain Dew comes with the new image. Mountain Dew Kickstart is going to be a new soft drink product in Australia. AIDA concept is based on mainly four stages to attract the interested customers. The first stage is to attract attention through product and it can be done by the advertising materials. This advertising must be an eye-catcher to create a brand image (Hassan et al. 2015). PepsiCo can use celebrity face or YouTube video clip to start the branding. The second stage is to maintain interest among the potential customers and PepsiCo needs to arouse the interest. PepsiCo can start the campaign regarding the detailed information of Mountain Dew Kickstart and its benefits. The third stage is to create desire as PepsiCo can persuade the customers to buy the product. Advertisements of Mountain Dew Kickstart will create the desire among the customers who like to drink a soft drink. The fourth stage is to get action where PepsiCo must transfer the desire into action that is purchase. Product development is the growth strategy of an organisation and it may require the change in business operations. PepsiCo may take the strategy of product development as they are going to introduce new product Mountain Dew Kickstart using their R&D. Mountain Dew Kickstart will be unlike soft drink as it will have caffeine taste. PepsiCo will be in the existing market which is Australia with new product assessing the customer needs. The customers of Australia want something alternative of the breakfast energy drink like caffeine; therefore, PepsiCo introduced Mountain Dew Kickstart. Launching of the new product by using an existing brand name creates a brand extension (Rao and Kurtz 2015). Therefore, Mountain Dew Kickstart hopes to leverage the existing consumers’ base along with brand loyalty. Product: PepsiCo Australia is going to introduce Mountain Dew Kickstart and with the product extension of Mountain Dew, PepsiCo enters the energy drink industry. Mountain Dew Kickstart will be a soft drink with caffeine touch and it also comes in the 16-ounce cans. Mountain Dew Kickstart will have two different flavours in Australia, Orange Citrus and Fruit Punch. PepsiCo observes the growth of Monster and Red Bull in the energy drink segment in Australia and Mountain Dew Kickstart is the signal of entering the new energy drink category for PepsiCo. Price: PepsiCo can use price skimming business strategy in which PepsiCo will set the price of Kickstart relatively high initially. However, this international brand will lower the price over time. PepsiCo wants to have the market craze by selling lots of amount of energy cans and the people will buy heavily when the product will be launched in Australia. 1. Place: In Australia, PepsiCo already has its office and PepsiCo sells the product through distribution to different supermarkets. Therefore, PepsiCo will use direct distribution strategy in which PepsiCo itself will manage the distribution of the product in Australia. PepsiCo will maintain a chain of intermediaries which would help to deliver the products to the wholesalers and to the supermarkets. Mountain Dew Kickstart needs to be kept in dark and cold storage so that it must taste good. 1. Print advertisement: PepsiCo can start their advertising in newspapers and magazines. In print media, PepsiCo can advertise in The Guardian, Herald Sun, The Daily Telegraph and The Sydney Morning Herald. In food magazines, PepsiCo can advertise of its new Product Mountain Dew Kickstart. 2. Online tools: PepsiCo can use the online tools like Search Engine Optimisation, Webinars, PPC (Pay-per-click) and online advertisements. In addition, PepsiCo can use the strategy of social media marketing using Facebook, Twitter and Instagram. PepsiCo has its own social media pages and these pages are hugely popular. The marketers of these pages can use image, content and video to promote the new product. 3. Out-of-home marketing: PepsiCo can also use banner, hoardings and billboards to advertise the coming off new Mountain Dew product. 4. Sale promotions: PepsiCo can take the strategy of discount pricing at the beginning and PepsiCo will also take the strategy of ‘scratch and win' to attract the customers. PepsiCo will also start the ‘mobile recharge' campaign using the promo code on purchasing of new cans of Mountain Dew Kickstart. PepsiCo will face the competition from Coca-Cola and Rezee drink. PepsiCo will take the strategy of offensive marketing strategy by attacking the market by targeting the weaknesses of the competitors. The competitors in Australia do not have large numbers of product choices to offer the customers. PepsiCo wants to have the market share from the target competitors within 3 years of selling their product. Integrated marketing communication strategy of PepsiCo would allow Mountain Dew Kickstart to capture the market share in Australia sooner. It has been observed that PepsiCo is coming up with new convenience good like Mountain Dew Kickstart in Australia. Application of Keller's theory of branding would help PepsiCo to get the brand image and brand resonance in the Australian market. In addition, the AIDA model of marketing would also help to attract the customers. 4P's of marketing would also help to set the pricing and distribution strategies. Integrated marketing communication of PepsiCo would be a help to reach large numbers of customers using offensive marketing strategy. 1. Andrews, J.C. and Shimp, T.A., 2017. Advertising, promotion, and other aspects of integrated marketing communications. Nelson Education. 2. Belch, G.E., Belch, M.A., Kerr, G.F. and Powell, I., 2014. Advertising: An integrated marketing communication perspective. New Jersey: McGraw-Hill Education. 3. Çifci, S., Ekinci, Y., Wyatt, G., Japutra, A., Molinillo, S. and Siala, H., 2016. A cross-validation of Consumer-Based Brand Equity models: Driving customer equity in retail brands. Journal of Business Research, 69(9), pp.3740-3747. 4. Hassan, S., Nadzim, S.Z.A. and Shiratuddin, N., 2015. Strategic use of social media for small business based on the AIDA model. Procedia-Social and Behavioral Sciences, 172, pp.262-269. 5. Hill, T., 2017. Manufacturing strategy: the strategic management of the manufacturing function. London: Macmillan International Higher Education. 6. Keller, K.L., 2016. Reflections on customer-based brand equity: perspectives, progress, and priorities. AMS review, 6(1-2), pp.1-16. 7. Luxton, S., Reid, M. and Mavondo, F., 2015. Integrated marketing communication capability and brand performance. Journal of Advertising, 44(1), pp.37-46. 9. Rao, C.P. and Kurtz, D.L., 2015. Marketing strategies for reaching minority markets. In Minority Marketing: Research Perspectives for the 1990s (pp. 1-7). Springer, Cham. 10. Robson, W., 2015. Strategic management and information systems. Sydney: Pearson Higher Ed. 11. Shaw, S., 2016. Airline marketing and management. Abingdon: Routledge.